“These sort of interviews remind me of Cannes, you go from table to table and you’re just talking the whole time. This is good, I like it,” Laura Harring says when she arrived at my table, while she was in Brussels, anno 2007 to attend the Brussels International Fantastic Film Festival, back then organized at the Tour & Taxis building. She is well known for her performance in David Lynch’s cult film “Mulholland Dr.” (2001), a surrealist dreamscape in the form of a Hollywood film noir, opposite Naomi Watts and Justin Theroux; later she worked twice more with Lynch in “Rabbits” (2002) and “Island Empire” (2006). When I met her, she had just finished Mike Newell’s “Love in the Time of Cholera”, and was moving on from one project to another, playing leading and supporting roles in features and TV movies. Born in Mexico in 1964 and at various stages in her career also credited as Laura Herring, Laura Elena Harring and Laura Martinez Harring, she became the first Hispanic to win the Miss USA crown (1985). She became an actress a couple of years later, worked her way up through the theater and television and wound up being compared with some of the screen’s most celebrated idols and icons. After the International Herald Tribune compared her with Ava Gardner, American film critic Roger Ebert wrote in his “Mulholland Dr.” review of October 12, 2001: ‘Not many actresses would be bold enough to name themselves after Rita Hayworth, but Harring does, because she can. Slinky and voluptuous in clinging gowns, all she has to do is stand there and she’s the first good argument in 55 years for a “Gilda” remake.’ After “Mulholland Dr.”, praised by noted Los Angeles film critic Kenneth Turan as ‘a dark dreamscape that needs to be experienced, not explained,’ Laura Harring became an instant screen phenomenon. Visiting Brussels at the Brussels International Fantastic Film Festival a number of years ago, she gladly looked back at this exciting period and didn’t mind looking ahead to see what’s in store for the near future. Can you tell us something about the films you get to see here at the Festival in Brussels? Do you enjoy them? Well, there are quite a bit of foreign-language films that I don’t get, because there are no English subtitles. I can hear the audience laugh, or they get scared, but everybody seems to enjoy it a lot. People here are very polite. If a film is bad, they’re still respectful. It’s a very different audience interaction here, one I’ve never experienced before. It makes watching these films even more fun, even though at times I don’t understand what they say. In Cannes, you might get booed, and that’s quite something else. That’s pretty rude, isn’t it? There’s a whole team involved in the process of the making of a film, the entire cast and crew, they all worked on it for month, and they get booed? Yes, that’s true; so far I’ve never been booed (knocks on the wooden table). 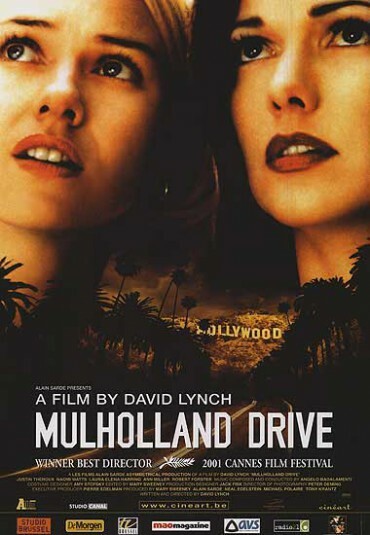 Before we went to Cannes with the whole team of “Mulholland Dr.” , David [Lynch, the director of the film] said to us, ‘No matter what happens there, you make sure you hold your head up.’ Because you can get booed in Cannes. I never think about that, but I do remember that there was a moment of complete silence after the screening of the film. And they all looked at me and said, ‘That’s it?’ And when I nodded, they stood up and they applauded very loud. But there was a moment we didn’t know which way it was gonna turn. It was very intense (laughs). But I understand that, I respect that response. In Europe, people are such film lovers, film is so important to them. It is important to me as well: I am very passionate about what I do and I love to come to Europe because I see people think the same way. Film means something, you can make a difference with a film. If it affects you, that’s enough, and for entertainment, that is fine. You don’t always need to have a great moral story. But if you really want to affect people by the end of a film, when the audience decides whether they like it or not, then the stakes are even higher. David said, ‘No one has the right to judge your creativity’ – in other words, you make creativity for its own sake, not to be liked. You don’t do it to get recognition, you don’t do it for an award, but you want your work to be liked. When did you first get passionate about movies? When I was 18, I was a social worker in India, then I traveled and ended up in the Philippines. I can tell you that when I was in both those countries – this was way before I started acting – I went to see the films there. I didn’t know at all what they were saying, no subtitles, they were in Hindi for example, and sometimes I watched two or three films a day. There was something in me that really liked watching them, even though they weren’t the best quality films. This was also in a time when they were so conservative, so that when a couple was in love and they were about to kiss, there was thunder, or the wind blew and the windows opened (laughs). It was so amazing! And when I became an actress, they booked me opposite Raul Julia in a movie called “The Alamo: Thirteen Days to Glory”  and when I watched him, I was fascinated by him, even when I didn’t have scenes with him. He was playing Presidente de Santa Ana and when he got himself all worked up, angry, with his beautiful resonant low voice, I became addicted to acting. He played Shakespeare in Spanish and in English and I don’t know of any other actor who could do that. He could play anything. Within the industry, everyone knew he was one of the best actors, but in terms of critics and the media, he didn’t get much attention, did he? For me, it’s a great, great honor to be opposite such great actors. How did David Lynch work on the set of “Mulholland Dr.”? Working with David Lynch was a beautiful experience. It was like working with a poet. At that time, I didn’t have a lot of experience in movies, because I had mostly done television and theater, but I knew he was very special. From the first moment I met him, I could see he had a movie going on in his head. He didn’t say very much to me, he just looked at me, and said, ‘Good, good!’ He was seeing me in the movie. I never had to audition or anything, he had seen my picture and that was enough for him to meet me right away. The good omen I had is that I had a car accident on my way to his house that day. I thought, ‘My God, that’s so weird.’ I had never read the script, and when I read the first part of it, I just had a feeling that was going to happen. It was too synchronistic, there was something so strange about that. When we were shooting the film, there were some scenes that were very specific, like when I did my hands like this (puts her hand over her face), he wanted me to do it exactly like that. But there were other scenes when he gave you a lot more room. I remember improvising one night, and he liked it so he wanted me to keep it. When you made “Masked and Anonymous” , you also worked with Bob Dylan, what was that like? He was a very sweet man. Everybody was like Bob Dylan! Bob Dylan! He was very nervous about being in a movie, but he was very sweet. He came over to ask for my advice, but I didn’t want to offend the director or anything, so I had to be really careful. I mean, he’s Bob Dylan and I’m not going to ignore him, but I’m not the director. But he was great. He was also shy, like a lot of people, and shy people are often misinterpreted. I remember when I was young, I used to be shy, and people thought I was snobby. Shyness can be interpreted a lot like, ‘Oh, they don’t want to be with us, they must think they’re better than us’ – and it has nothing to do with that. The mind is very tricky, you know, we have all these concepts. Has it been difficult for you after “Mulholland Dr.” not to be typecast? It was for a few years. But after I worked with William Hurt on “The King” , I had all of these wonderful opportunities, like “Walkout”  with Edward James Olmos. I got to play the suburban mom: they aged me, they tailed me, not a lot of actresses get that chance. You get typecast forever and that’s it. And then you get older and you don’t work. But with me, it was great, because I did the transition already and people in Hollywood knew that I could play older and plain, you know what I mean. Amazing directors gave me the opportunities to do that. And then what happened, was completely the reverse. Instead of being typecast as glamorous, I was getting typecast as old and ugly and haggard (laughs). Then my agent said, ‘We got to do something about this.’ So I went on a losing weight thing, and just when I was losing weight and looking good, I got offered “Love in the Time of Cholera”  and I had to gain twenty-five pounds (laughs). I have “Nancy Drew”  coming up too, at Warner Bros., and it looks like a really funny film. It came out really cute, I play a glamorous movie star there. You know, the most important thing for me, is that when I leave this earth, I don’t have regrets, you know what I mean? And so, for me, I take a role and don’t say no for this and no for that. I like to say yes because what happens is that you learn. If you’re in an action movie like “Derailed” , you have to take martial arts classes, you have to learn self defense while I always used to be a scared type, I was scared of heights. So when I finished that movie, I was a comfortable type. That expanded my consciousness. I may sound strange to you, but for me, my life is more important than my career. At the end, it’s your life, you know. Sometimes I would accept a role because I would resonate with the story, or because it makes me cry, like with “Willard” , I cried. The story of Willard was so sad. 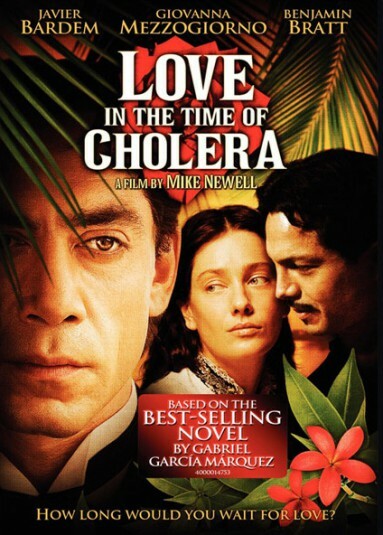 But I have been very fortunate, I have a wide range and I loved working with Mike Newell on “Love in the Time of Cholera”, he also has a wide range. He does everything, from gangster movies to comedies. There are many characters in this movie, Javier Bardem is playing Florentino, and I am Sara Noriega, you know, this big woman, but from what we did, you can always feel when you’re creating magic, when magic is happening, it’s a feeling you got. I felt that with “Mulholland Dr.”, and I have that feeling in “Love in the Time of Cholera”. It felt very real, like you’re in that world. You’re not ever thinking, because when you’re thinking, you’re not into it. You have to be feeling it, and when we were doing that film, there was definitely that. Movie magic. Is it because of that wide range that you why make acting look so easy? Most people think it’s easy, because it’s like if you dance: it should look effortless. But when you see a dancer floating on the dance floor, that takes years of work. But he looks relaxed. And for acting, you also have to relax, otherwise you just can’t create. When you relax, you can act better. But to sound natural on film, that’s the hardest thing in the world. I would give them the advice not to listen to other people’s criticism. I would give that advise to any human being. We live in a world where we want approval, we want to be loved, and it’s hard because we want to be liked. But it’s impossible for being a human who is liked by everyone. So you should not be affected by what other people think of the things you’re good at or not. You have to be comfortable and when you’re comfortable, it just so happens that people accept you. It has to start from you, knowing who you are, knowing that you can do it, knowing that you got what it takes. Posted in Actress, Film Talk and tagged Ava Gardner, Bob Dylan, David Lynch, Derailed, Edward James Olmos, Gilda, Island Empire, Javier Bardem, Justin Theroux, Kenneth Turan, Laura Elena Harring, Laura Harring, Laura Herring, Laura Martinez Harring, Love in the Time of Cholera, Masked and Anonymous, Mike Newell, Mulholland Dr, Nancy Drew, Naomi Watts, Rabbits, Raul Julia, Rita Hayworth, Roger Ebert, The Alamo: Thirteen Days of Glory, The King, Walkout, Willard, William Hurt. Bookmark the permalink.